! "SAVE" "BEST HORROR AWARD" EN INGLATERRA!
! 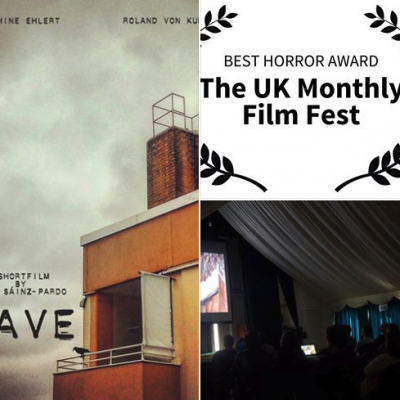 "SAVE" ha recibido el "BEST HORROR AWARD" en el "The UK Monthly Film Fest" en UK! Y será proyectado y competirá por los premios anuales del Festival que se darán en Saham Toney Norwich, Norfolk, Inglaterra este próximo Abril del 2018. -WINNER "SAVE"" - Short Film" by Ivan Sáinz-Pardo has won "BEST HORROR AWARD" at "The UK Monthly Film Fest". "SAVE" will be also screened at the annual event in the UK at Saham Toney Norwich, Norfolk England in April 2018.